READ NEXT OnePlus 6T Review: After the Hype | The Best Option Still in 2019? next OnePlus 6T Review: After the Hype | The Best Option Still in 2019? 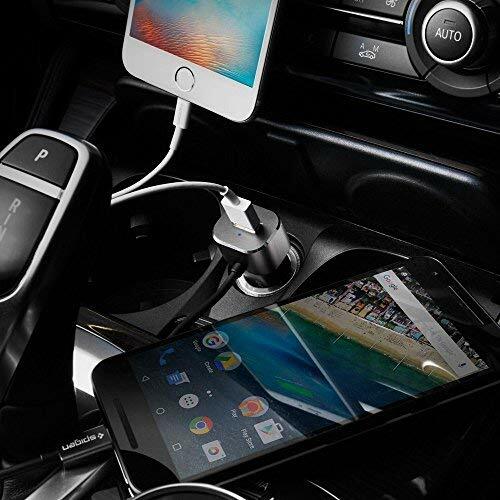 Fast charging car adapter with integrated USB Type-C cable and additional USB Port. 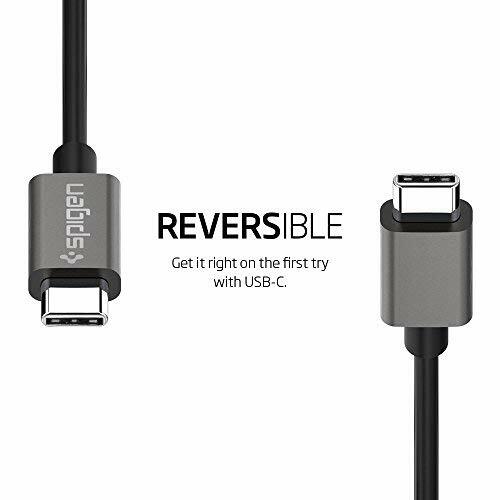 Cable is for your USB Type-C smartphone, USB Port to power any compatible devices. 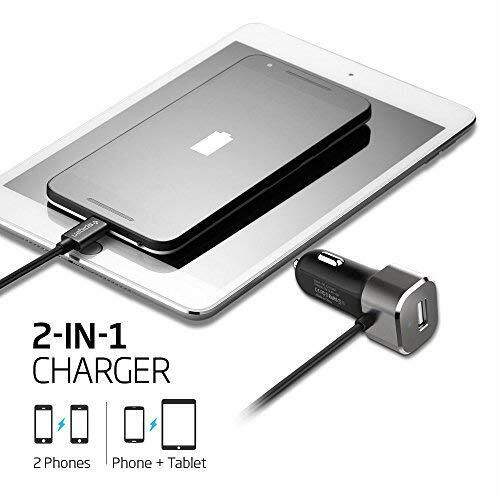 Charge two devices simultaneously! ● Do not disassemble or attempt to open product. Thank You For Choosing Spigen! 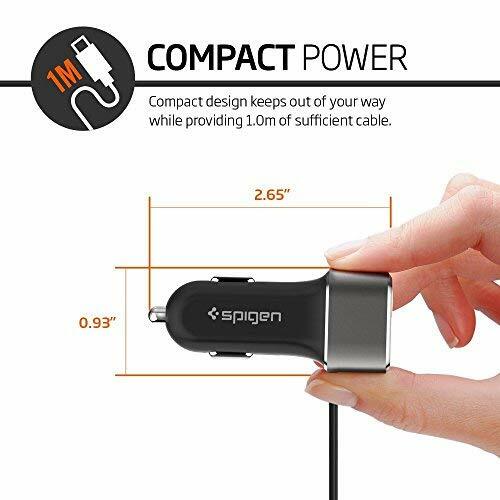 Spigen 24W Dual Car Charger with 3.3FT(1m) USB Type-C built-in cable and extra USB port. 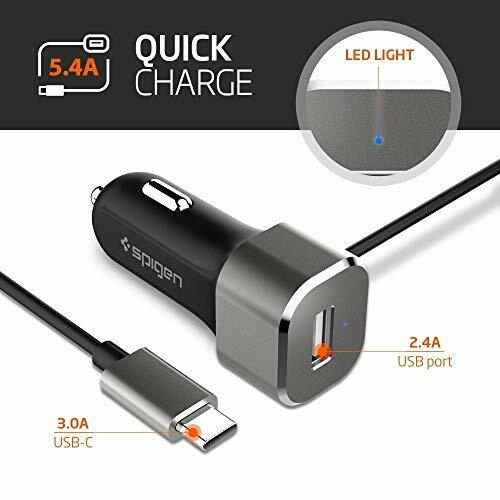 Rapid Charging: 5V/3A rapid charing speed for USB Type-C cable and 5V/2.4A output for USB port. 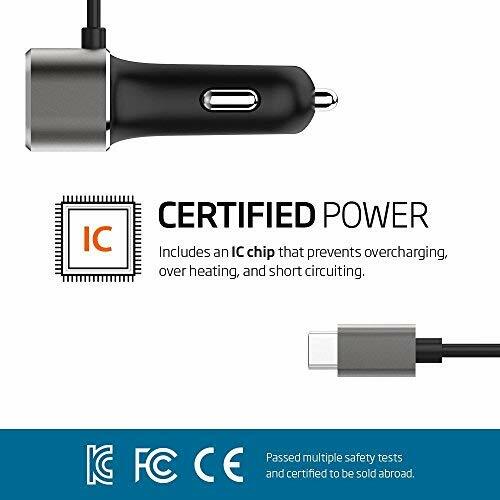 Intelligent Power Technology: Spigen’s IP technology identifies your devices and delivers optimal charging current for the safest maximum charging speed.